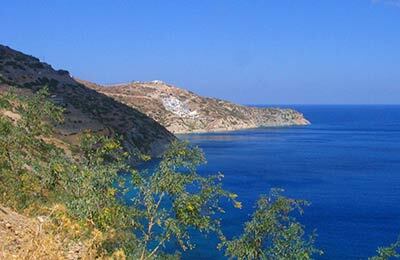 Sifnos is an island in the Greek Cyclades that has around 2500 inhabitants. Sifnos is known for its natural beauty and for its pottery. Sifnos is often referred to as "Poet's Island" due to the number of poets and writers that have come from the island, such as Titos Patrikios and Theodosios Sperantzas. Sifnos Ferries are operated by Aegean Speed Lines and Zante Ferries, sailing to various other Greek Islands such as Folegandros, Ios, Kimolos, Milos, Santorini, Serifos and Piraeus. Using the simple booking form from AFerry you can easily find the best ferry for you. Below you can find Sifnos ferry times, as well as our best deals. Aegean Speed Lines offer a choice of Business and Economy Class seating, and a range of coffee and snack bars, a souvenir and gift shop, air conditioned lounge areas, televisions, smoking areas, outside seating areas, Wireless internet connection and disabled access throughout. 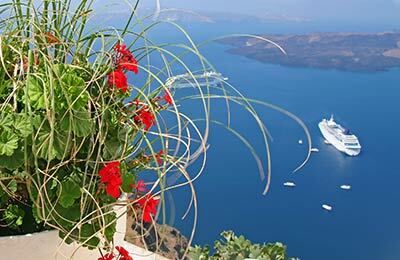 Aegean Speed Lines and Zante Ferries offer great deals and promotions on Sifnos ferries, and you can take advantage of these by booking simply and securely with AFerry. Sifnos ferry port is situated in the town of Kamares, on the west coast of the island.